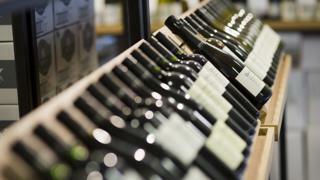 Majestic Wines has said it is confident its recovery plan is working despite reporting a full-year loss. The retailer is seeking to expand sales, increase customer loyalty and restructure its underperforming commercial arm. Majestic blamed its £1.5m pre-tax loss on the acquisition of Naked Wines, one-off costs and weaker sterling. Revenue rose 11.4% over the year to £461m, with like-for-like sales at Majestic warehouses up 5.7%. Its retail outlets have now posted eight consecutive quarters of rising sales. Naked Wine, acquired in 2015, showed a strong performance in the US, which accounted for 28% of its sales growth. Chief executive Rowan Gormley said the group expected annual sales to hit £500m by 2019 and it was "past the tipping point" in its recovery plan. "We remain confident about the medium-term outlook, despite tough economic conditions, as transformation benefits are coming through and our costs are naturally coming down as a result of us reaching the next stage of the transformation plan," he said. Mr Gormley said the group had a "better paid and rewarded workforce" as it tried to retain staff and improve customer loyalty. It is testing a partnership programme where retail store managers earn a percentage of their store's sales and are given more control of the day-to-day running. Majestic issued a profit warning in September 2016, which it blamed on poor performance at its commercial business and a failed US marketing campaign for Naked Wines. Analysts at Liberum said the company was being more disciplined with cash, which should mean higher profits. "This should allay concerns that growth is the only consideration," they said. Chairman Phil Wrigley, who is retiring, said it was the right time to hand over to non-executive director Greg Hodder. Shares fell 2.6% in morning trading but have risen about a fifth this year.